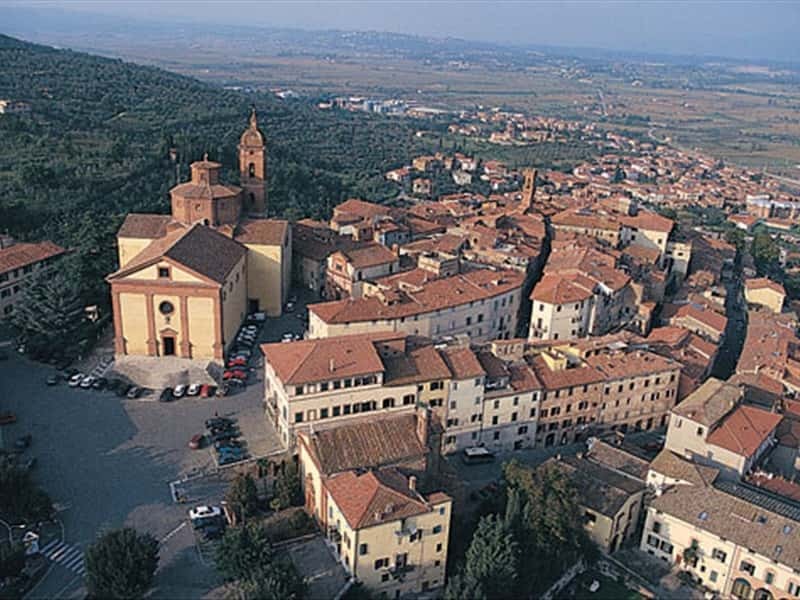 Sinalunga is a beautiful hill settlement of Etruscan origin, located between the Val di chiana and the Ombrone valley. It has civil and religious buildings of considerable beauty, one of the oldest being the Romanesque parish church of San Pietro Mensulas, con all'interno due cippi sepolcrali di epoca romana. Da visitare anche la Chiesa di San Martino with works by Girolamo del Pacchia. Civil buildings of great interest include the mid 14th century Palazzo Pretoriowhose walls bear numerous coats-of-arms of Podestas from the period of Sienese rule and others of the Medici; the mid 18th century Ciro Theatre and the antiquarium, an exhibition of Etruscan finds and a precious painting by Domenico Beccafumi. This town web page has been visited 34,496 times.